Rugged Cleanroom Swabs that will stand up to Solvents and Hard Use. Gentle Swabs for Delicate Electronics or Optics. 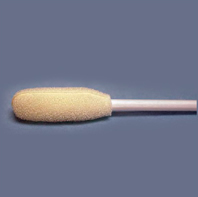 Chemical-Resistant and Anti-Static Cleanroom Swabs for Lint-Sensitive Environments. We carry a full line of Swabs for any Cleanroom Application.